This article explains how to download Windows 8 Free. Now that we have established what this website is about, let’s move on to the first step; and that is download Windows 8. 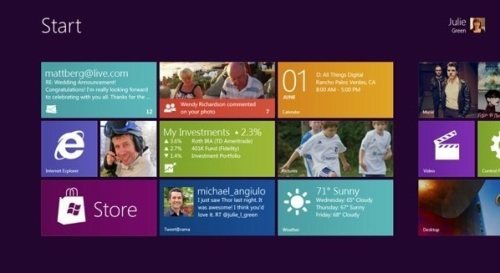 Microsoft has launched developer preview of Windows 8. This is not a beta version, but much earlier version than that. This version is primarily meant for developers so that they can start playing around with Metro UI, and create applications for that. That does not means that a normal user cannot or should not download this developer preview of Windows 8. In our future articles, we’ll cover how can you install Windows 8 sideb-by-side on Windows 7, ensuring that you can always go back to your main Windows 7 OS in case something goes wrong. Windows 8 Developer Preview with Developer Tools: This is the main version that is purely targeted towards developers. This version of Windows 8 includes some additional tools that developers can use to develop applications for Windows 8. The tools include Visual Studio 11 Express edition, Windows SDK that can be used to create metro style apps, and Expression Blend 5. All the tools are included for free with this developer version. The best part is that all these tools work in Windows 8, so you can develop applications, as well as test them side-by-side.Download Size: Size of this download is 4.8 GB.Download Link: Click Here. Windows 8 Developer Preview 64-Bit (x64): This version is for 64 bit computers, and it does not have Developer tools. If you just want to play around with Windows 8, then you can download this version (or 32 bit version).Download Size: 3.6 GBDownload Link: Click Here. Windows 8 Developer Preview 32-Bit (x86): This version is for 32 bit computers, and does not include Developer tools.Download Size: 2.8 GBDownload Link: Click Here. All the links given above Download Windows 8 as ISO file. In case you want to download Windows 8 from a torrent, you can follow the instructions here. So, now you have all the download information for Windows 8. Go ahead and start the download. The download size is quite huge, so you might want to leave the download overnight. Also, it would be a good idea to use a download manager to download the file. This would ensure that even if download gets interrupted in between, you won’t have to start download all over again. So, get started and start the download. After that, we’ll go over and see how to install Windows 8. It is all going to be very exciting!